The Meadowbrook Apartments are a brand new apartment complex currently under construction in Hudson, IA. These 3 and 2 bedroom, 2.5 bathroom condos are constructed with only the highest quality materials from local contractors. They will be completed with high-end finishes and functional floor plans. Each unit has an attached two car garages with access directly into your unit. 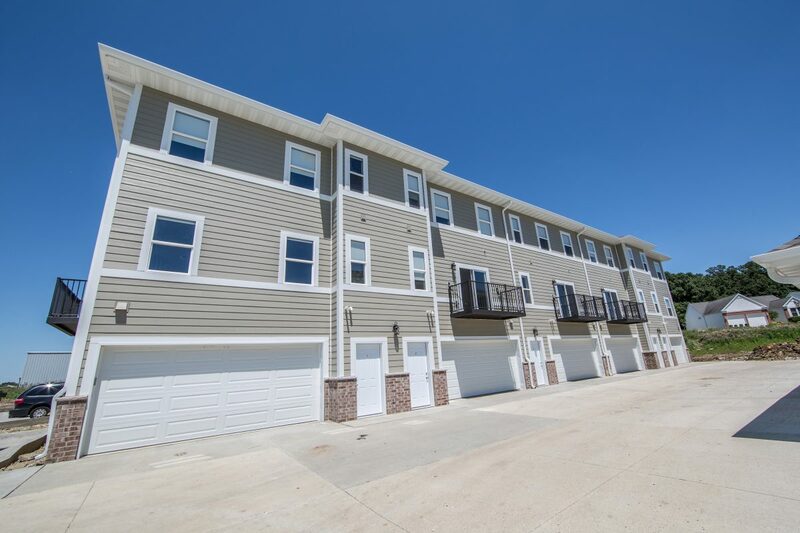 The Meadowbrook Apartments in Hudson, Iowa feature granite counter-tops, soft close cabinets, and steel decks are a few of the amenities that make Meadowbrook different from other aprartments in the area. All appliances are included in these units and there are also a washer and dryer in each unit for your convenience.